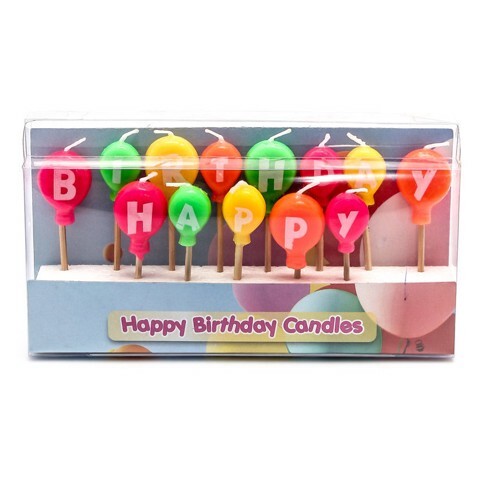 Candles Happy Bday Balloon 13Pk . 5.5cm Tall. Pink | Blue | Fluro Rainbow l Bright Rainbow. Mix Of Heart And Balloon Shapes. Wax | Bamboo. 1-2G Packaging: Acetate Box.